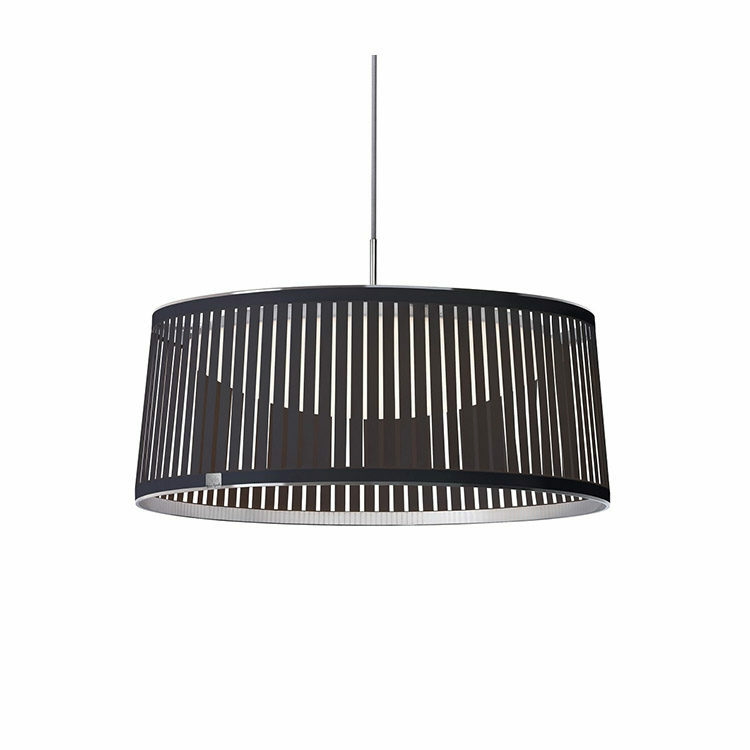 Dramatic and minimal all at the same time, the Solis Drum Pendant offers exceptional style and sophistication for your space. Laser cut polyester fabric shade creates an engaging blend of light and shadow. Aluminum top and bottom rings allow the fabric shade to hang with tension. 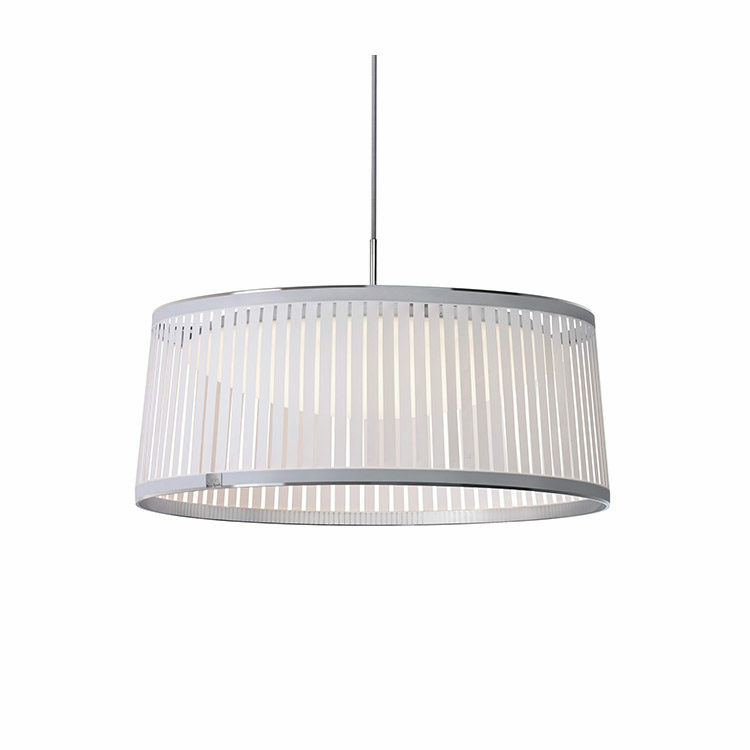 Acrylic diffuser spans the diameter of the pendant to spread the light’s output. 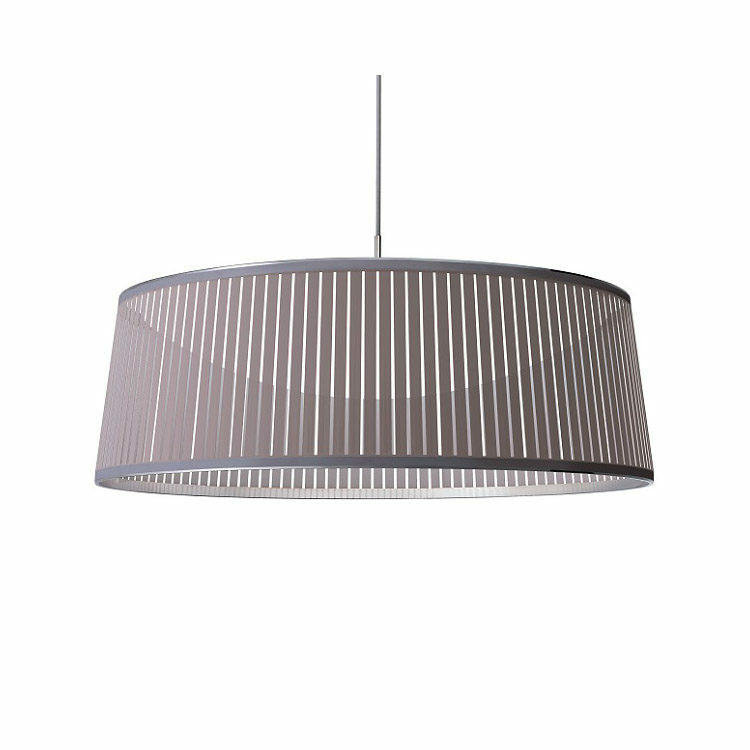 Fabric shade is available in silver, white, brown, or black. Designed for hardwire installation into a standard US junction , with 10 feet of field-cuttable cable included.